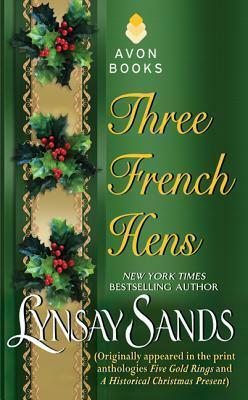 Three French Hens by Lynsay Sands is an entertaining festive historical novella. I read it within A Historical Christmas Present anthology in which it was one of three stories. It’s a standalone read not related to any series. 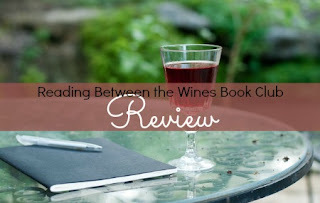 This sweet romance details what happens when two women – a scullery maid and a spoiled highborn lady - switch identities. Lady Joan wants to get out of a pre-arranged marriage. Brinna, the scullery maid, would like to help her elderly friend, Aggie, retire and not have to worry about finances. Brinna plays her hand too well as, while playacting as Lady Joan, she falls in love with Lady Joan’s betrothed, Royce, dooming Brinna to a broken heart. I really liked both lead characters. They were caring and strong – both inside and out. Lady Joan was full of herself. I pity the man who ends up with her. Brinna’s chaperone while impersonating Lady Joan was an entitled hoot. Some of the stories she told to justify Brinna’s behavior as Brinna struggled with adapting to the different class norms were absolutely hilarious. “Happened?” Sabrina blinked at the question, her face going blank briefly, then filling with desperation. “She… er… she… er… pricked her finger doing embroidery!” she finished triumphantly, and Brinna nearly groaned aloud as what sounded suspiciously like a snort of laughter burst from Lord Thurleah. “Fallen?” Lady Sabrina’s genuine horror seemed to suggest ladies simply did not do anything as embarrassing as fall off the back of the wagon into the snow. “Presently lying in the snow,” Lord Thurleah pointed out dryly. I was wracking my brain while inhaling this read, trying to figure out how the author was ever going to be able to provide Brinna and Royce the happy ending they deserved. I didn’t see a way, but, I shouldn’t have doubted her, as she pulled one off that left me happy as can be! If you enjoy escaping into quick, sweet and humorous Christmas romances, Three French Hens is a wonderful option!